Drupal is an open source of content management system providing outstanding opportunities for managing content of the website easily. It is a widely popular source with which we can manage blog sites, corporate CMS sites, social networking and other streamline ways too. Drupal can be availed for free as it comes under General PublicLisence. One can easily update and modify the website made with drupal application. You can modify and imply required changes in your site whenever you want and include new features in them easily. By using Drupal it has become easy to handle websites based on videos, blogs, podcasts and content-text. Let discuss the kinds of website one can make by using Drupal application. Drupal is a known application in the matter of its social networking capabilities. Drupal provides a vigorous organization system to the site user provided with all exclusive features of social networking. By using Drupal modules one can easily create a social networking site with responsive system. Drupal is a great tool that helps in creating portfolio sites too. 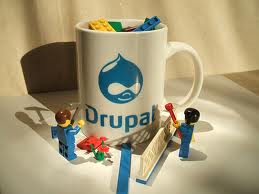 One can create entire site by managing the content of the site easily with Drupal. One can create video sharing sites by using Drupal. One of Its popular modules the flash video avail solution to create your own video sharing site easily. With Flash Video you can let the users share the various video with an embedded code. Designing a blogging network site is the easiest task to do with Drupal. You do not need to use any modules for modules as Drupal provide several built-in modules that can be efficiently used to make successful blogging network. Creating a News Portal Site with Drupal is the easy to do by using content construction kit provided by Drupal. There is endless number of news sites created with Drupal all over the world. Creating news post sites with Drupal is much flexible method than any other CMS. With the help Drupal application creating file storage site is also possible. One can create a file storage portal as a great platform by making use of content construction kit, views module, media mover module, file browser module, and web file manager module. So, Drupal has emerged out as a gift to create the above mentioned types of websites with easy to use and open source of management.